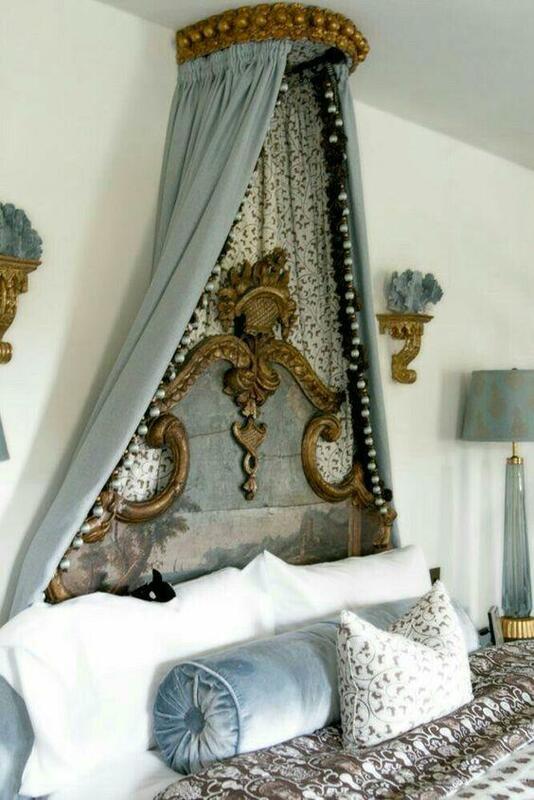 So you’re in love with the classic motifs of french decor, but crave a more relaxed look in the bedroom. 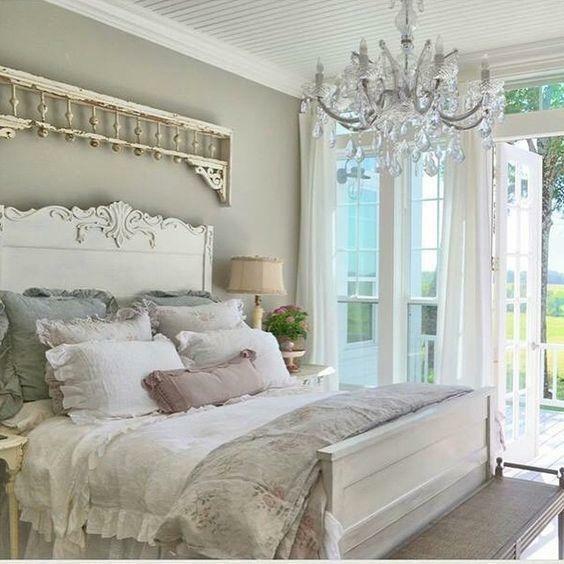 Voliá- that’s where french country bedroom decor comes in. It’s the perfect American twist on timeless European design. Fresh, fun, and unfussy are the words you’ll be using to describe your new bedroom retreat. Maybe it’s because I am obsessed with french design, and gotta hold true to my KY roots- but this style is a personal favorite in my own home. 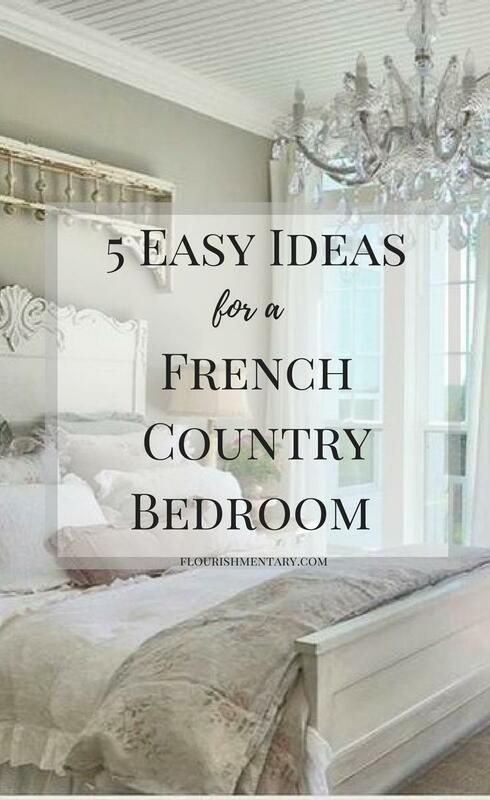 Here are 5 easy ways to get a french country bedroom look that will have you saying “oh la la”! They’re less formal than a full canopy- and the best part is you won’t need a whole new bed! 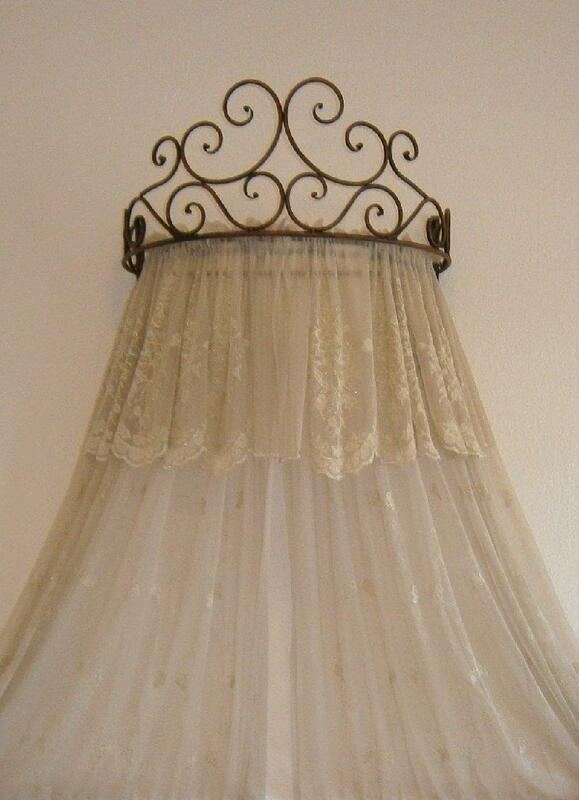 These half canopies add a touch of elegance, and draw your eye up making the room look even bigger. 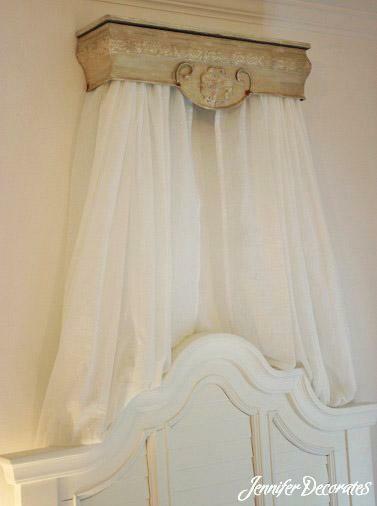 You can get a pre made bed crown, or go the DIY route with a tension rod and a box shelf. For fabrics, choose something that compliments your bedding, but doesn’t match exactly. 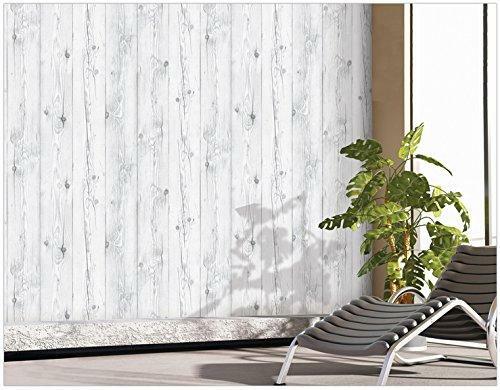 White is always a great choice, but you can’t go wrong with other muted colors like blue, tans, and gray. They’re classic, easy to find, and look great anywhere in the bedroom. Try placing them over the bed or over large piece of furniture like a dresser. They’re an instant focal point. 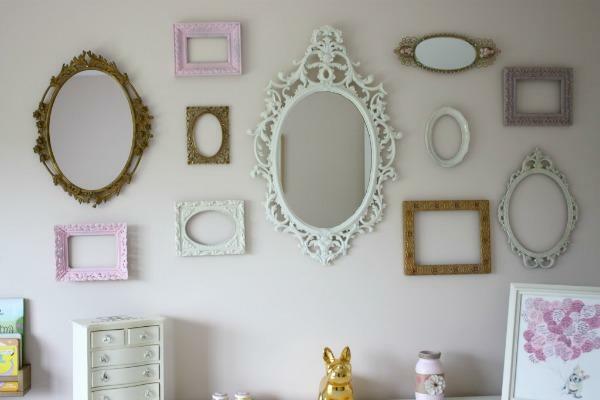 When searching for frames, opt for some with ornamental detail, and paint them relaxed colors that compliment the room. Then simply group them as a cluster together, leaving equal space between each one. You can also fill some with decorative objects such as flowers, or signs, but leave some empty to get that informal vibe. 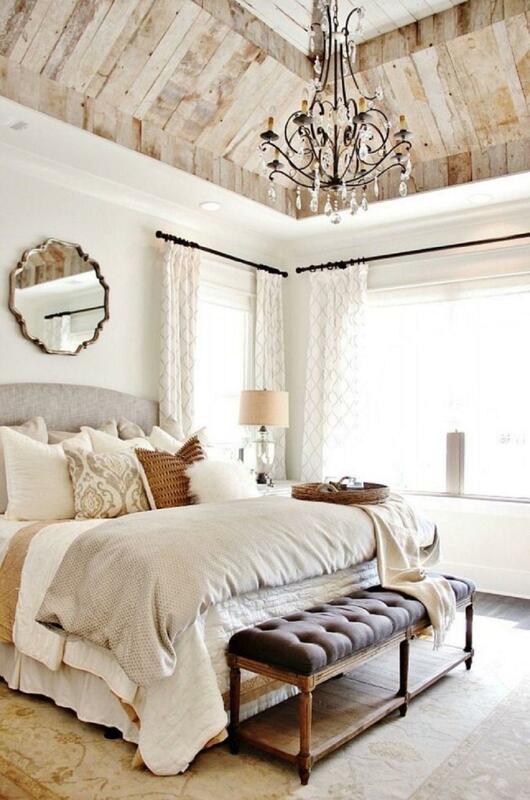 Dainty or rustic, nothing gives the room an instant french vibe like a petite chandelier. The trick to getting the french country look with these lighting fixtures is to have it blend in with the rest of your decor. This isn’t meant to be the grand show stopper like those overwhelmingly large pieces in a formal ballroom. 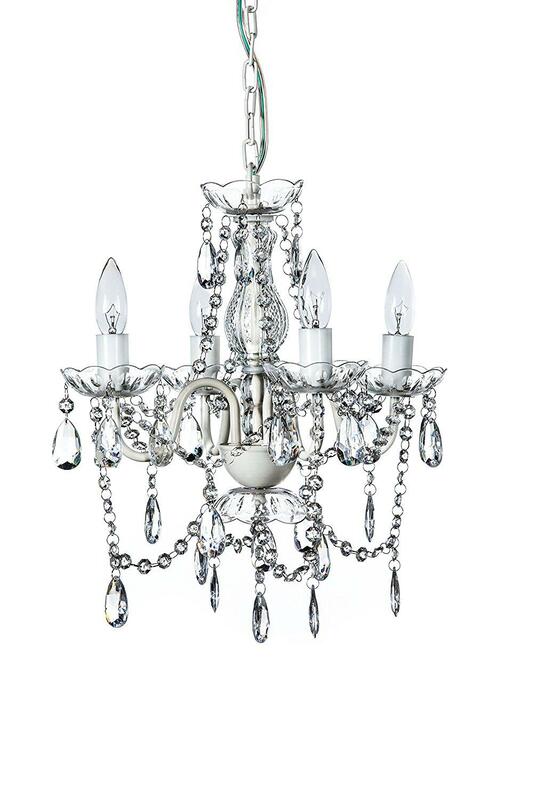 Choosing a chandelier in white, clear, or with really thin arms is a great way to get that simple yet refined look. 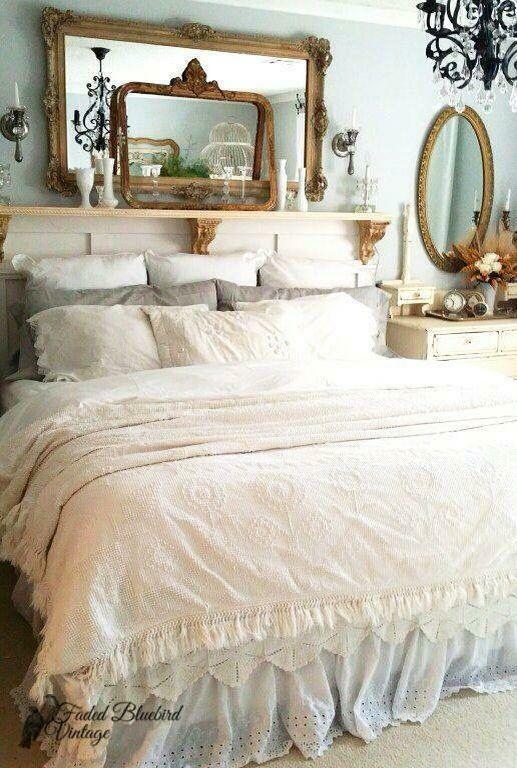 There should be nothing over the top about your french country bedding. It should look cozy, and inviting, but the pillows are definitely the fun part. 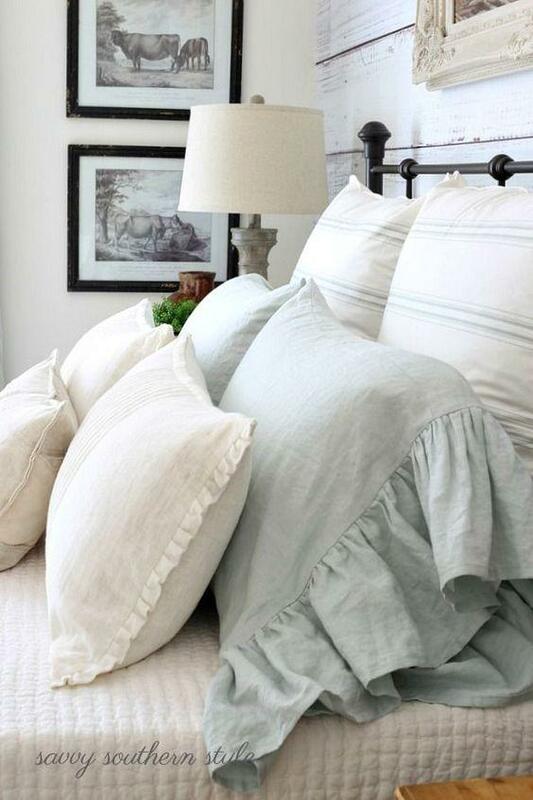 Soft cotton pillows with ruffles, and eyelets are perfect for presenting that well lived in vibe. Choose pillow shams that are more basic (hey you really have to sleep with em) but add a little more detail with the smaller throw pillows. As obvious as it seems from looking through these photos- the basis for any great french county bedroom is of course the muted color palette. But that doesn’t mean you have to stick with only whites and grays! There are gorgeous muted versions of yellows, blues, even pinks, that’ll be perfect for a french country look. 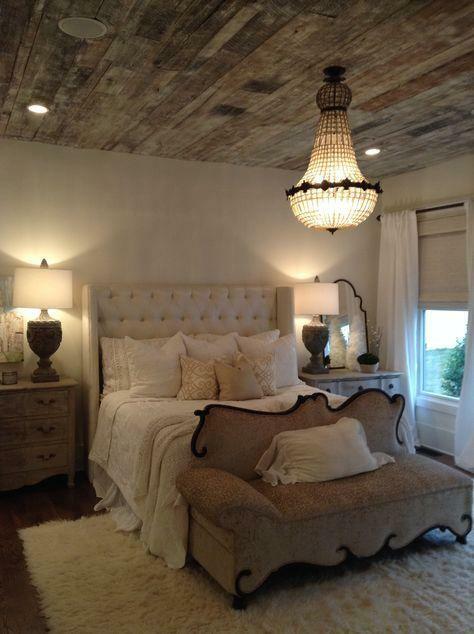 Adding wooden elements to the ceiling, or wall is a fun way to give the room some french country charm, without veering from your exiting color palette. 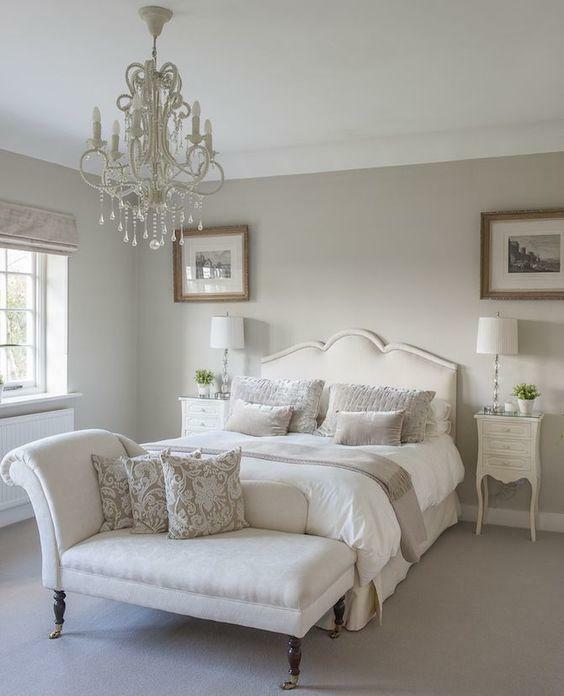 These are some of the easiest ways to achieve the french country charm in your bedroom. Mixing and matching a few of these tips will help you get that relaxed and elegant look, that you’ll love for years to come. I’m currently working a few of these tricks into our bedroom, and can’t wait to finish everything off soon. 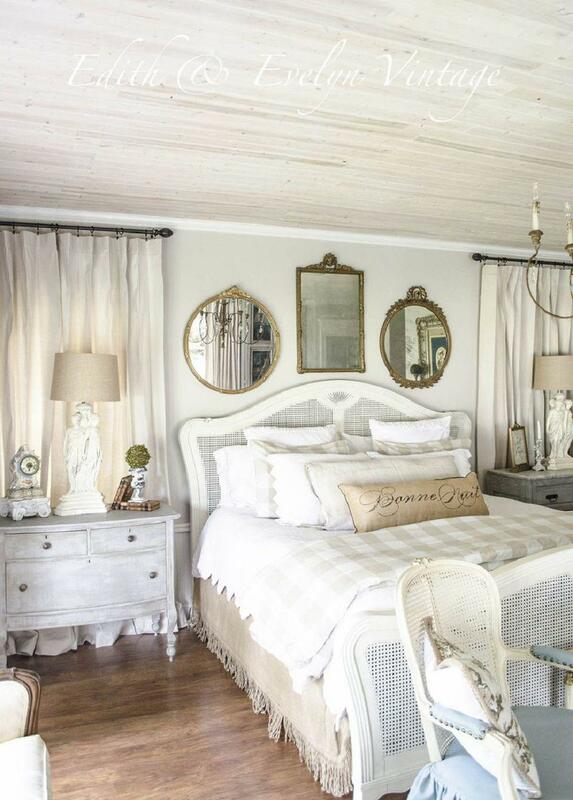 Do you have any other favorite french country bedroom ideas? If so I would love to hear your suggestions, drop me a line below! I love this! Just some simple and easy tricks to change the decor! Hey Leighann, so glad you liked it! I prefer these kinda easy tricks that let you switch things up without a full blown reno 😉 Thanks so much for reading! 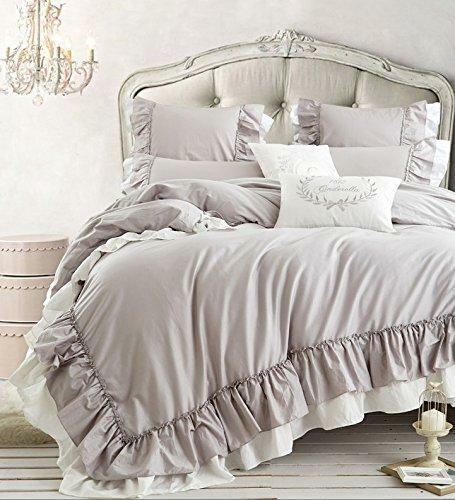 How about antique pink floral on bedspreads with ruffles! Sounds like heaven doesn’t it! Thanks for reading! Cute, and great ideas. I love a modernized version of French decor. 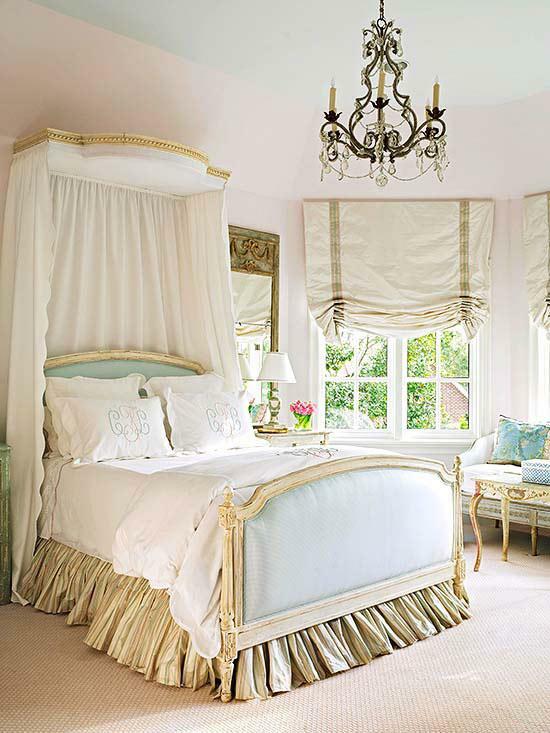 Less frills, large ruffles, and a lot of lace, but more of that beautiful furniture and elegant ornateness and that classic white or cream tones, with the light blue. Great ideas indeed. Thanks for sharing. 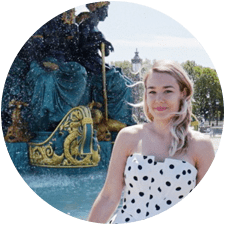 Hi Mandi, I just love all those things about french country decor, glad you liked it too! Thanks for reading! Hi Abigail, I just loved those framed too! Glad you liked it, and thanks for reading! Thanks for sharing! I love that you break it down into a couple details that can be purchased at any budget! So glad you liked it Vanessa! Thanks for the inspirational post and photos. 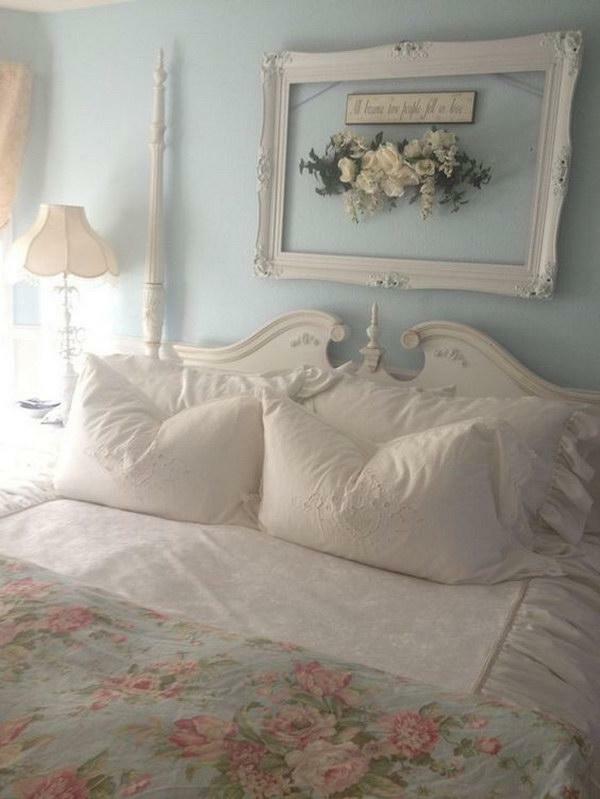 The shabby chic headboards are so pretty! “Like” from Belle Escape! 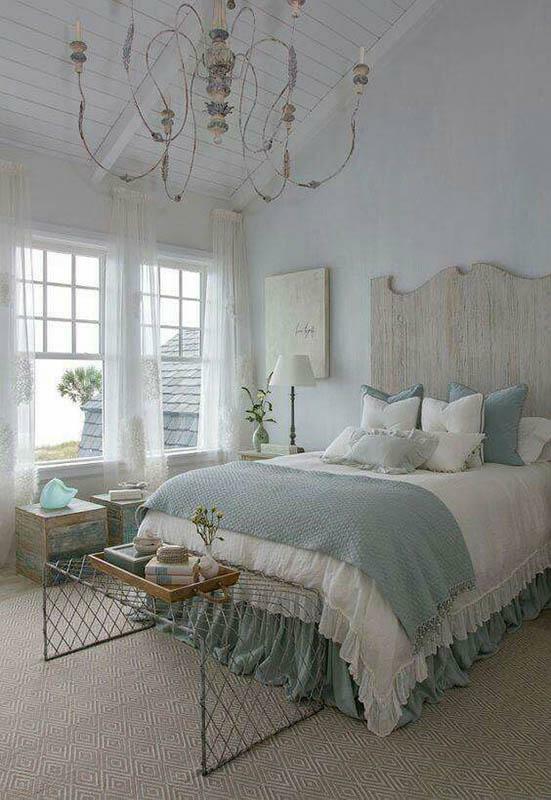 I really love all of those bed frames too! Thanks for reading! 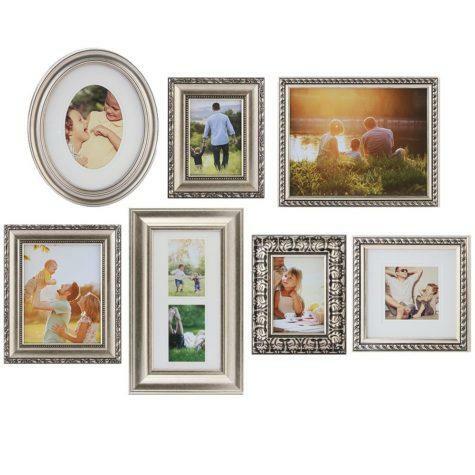 Great ideas , I love that you added links to purchase some of the ideas, and that you found affordable pieces. The rooms are attainable and can be put together. I’m definitely trying them. Thanks . Hi Kim, so glad you found these tips helpful! 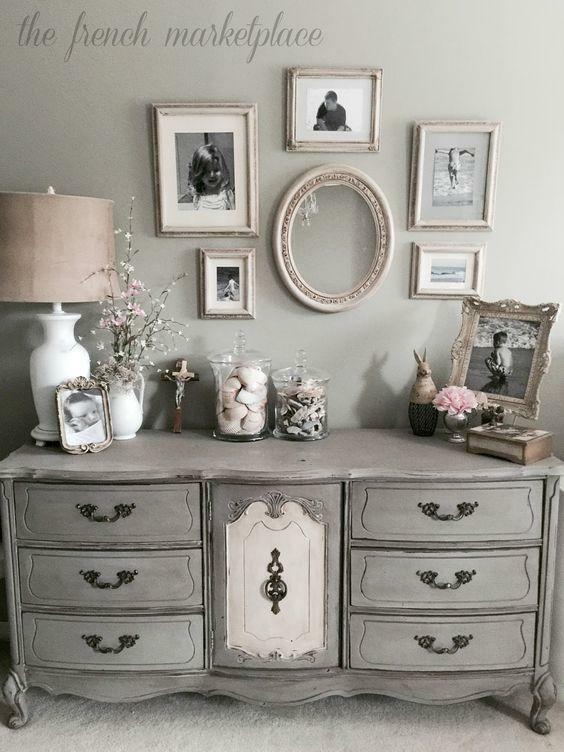 I always love finding easy ways to make a space amazing! Have fun! Love the looks! I have the French country “influence” in most of my decorating. I like to make little changes here and there occasionally, and you have great ideas! Hi Mary! I’m such a fan of the look, it’s elegant without being over the top! Thanks for your kind words, and so glad you enjoyed the post!